It's been more than a half a century since gun-slinging, hi-de-ho Westerns dominated the box office, when names like John Wayne, Roy Rogers and Clint Eastwood headlined movies about the Old West. But nowadays, scenes of tumbleweeds crawling across deserted streets are few and far between. Westerns aren't yet totally extinct with the Coen Brothers' "Ballad of Buster Scuggs" and "The Sisters Brothers," starring John C. Reilly and Joaquin Phoenix. 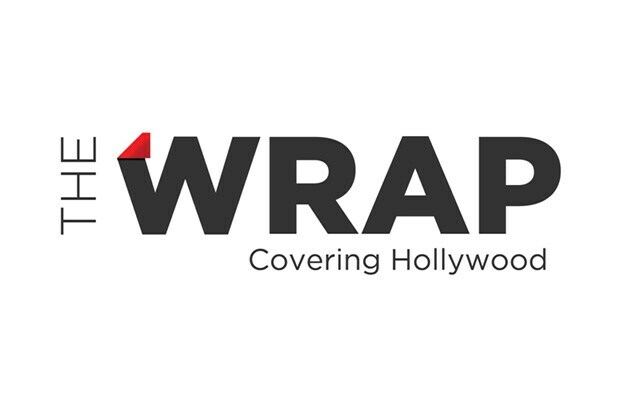 In honor of 21st century takes on a classic genre, TheWrap takes a look at 10 stars you may be surprised dawned the proverbial ten-gallon hat. 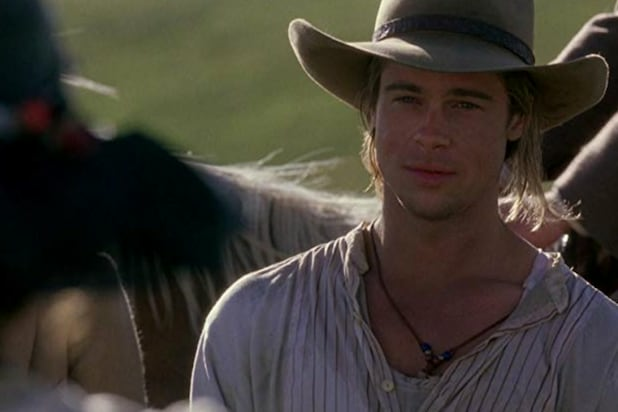 Brad Pitt In between Pitt's performances in "Interview with a Vampire" and "Seven" was 1994's Western drama "Legends of the Fall." The film saw Pitt play a World War I soldier who returns home to his family's ranch in Montana. In 2007, Pitt would return to the Western with "The Assassination of Jesse James by the Coward Robert Ford," playing the titular James plotting his next big heist. Hailee Steinfeld While more recently known for her music career, the "Pitch Perfect" series and playing a wise-beyond-her-years high schooler in 2016's "Edge of Seventeen," Steinfeld has appeared in several westerns, including, most famously, her Oscar nominated role in 2010's "True Grit," 2014's "The Homesman" and "The Keeping Room," out that same year. Sam Rockwell No, his Oscar-winning role in "Three Billboards" does not count as a Western, but his turns in 2011's "Cowboys & Aliens" as a saloon owner and 2017's "Woman Walks Ahead" does. Michael Fassbender No stranger to the period piece ("12 Years a Slave"), Fassbender has appeared in key roles in two Westerns: 2010's "Jonah Hex" and the British/New Zealand import "Slow West," in which he played an Irish bounty hunter prowling the Wild West. Luke Wilson Wilson may be the most prolific Western star you never knew starred in a Western. He's taken roles in "3:10 to Yuma" and 2016's "Outlaws and Angels," as well as the satirical Netflix Western "The Ridiculous Six." Billy Crystal Crystal has been enshrined in the rom-com hall of fame with "When Harry Met Sally," but right after the major 1980s hit came "City Slickers" 1 and 2. And yes, it's a Western series, albeit a comedy one. Crystal plays an ad executive going through a midlife crisis, leading him to take a trip with his friends from New Mexico to Colorado. Jake Gyllenhaal Gyllenhaal's very first role was in the Crystal-driven "City Slickers" at the age of 11. The bit role saw Gyllenhaal as Crystal's son. 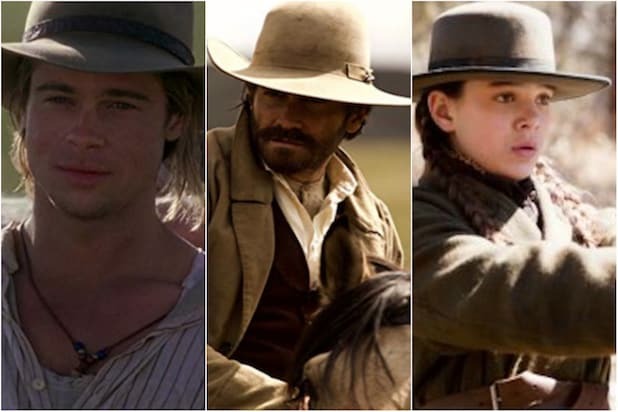 Gyllenhaal also stars in the aforementioned "The Sisters Brothers." Add the Oscar-winning "Brokeback Mountain" if you dare and Gyllenhaal is a Western regular. Cuba Gooding Jr., In 1994 Gooding starred opposite Paul Hogan in "Lightning Jack" as an outlaw-in-training. Gooding returned to the genre as a voice actor for 2004's "Home on the Range." Ewan McGregor McGregor went from a Western in space (the "Star Wars" prequels) to two, more earthly projects. McGregor appeared in small roles in both 2014's "A Million Ways to Die in the West" and 2016's "Jane Got a Gun." Pierce Brosnan For Western diehards, you may remember Brosnan taking time away from his role as James Bond for 1999's biopic "Grey Owl," in which he portrayed a British man who moves to America to be a Native American trapper. He also appeared in 2007's Civil-War era Western "Seraphim Falls."